Don’t Mope. Don’t Give up. 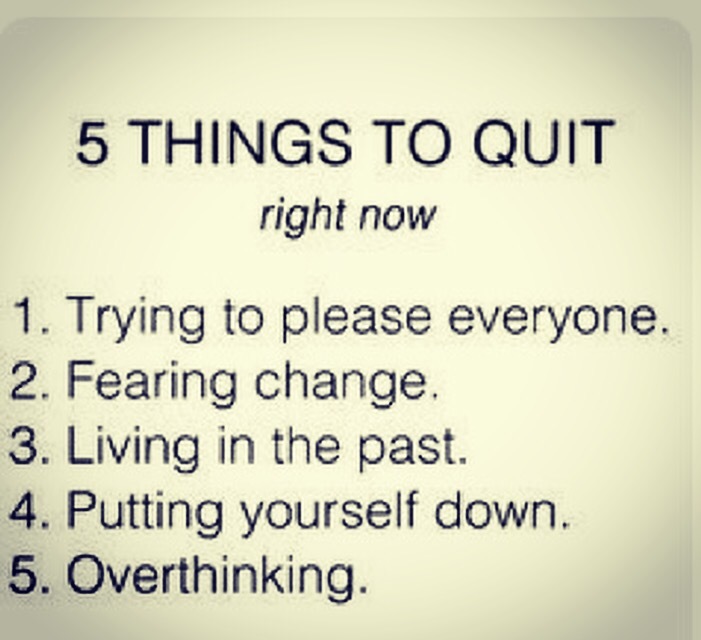 Just quit a few things. We know our bad habits. We all have them. Lifehack shared a few that if we act on, will go a long way to improving our lives and mental capacity. Overthink. Overthink. Overthink. Stop it. We reach goals when we focus. So follow these tips and start your journey to revive, refresh, and renew as you step forward into the new year. Only you… can do it.